Festival of Light is a creative effort to help rediscover the meaning of Christmas. It is an interactive walkthrough art installation exploring some of the most familiar Christmas symbols like the tree, the star and the lights. Through the years we have designed and built several massive interactive art installations to communicate the message of Jesus. These projects involve about 100 artists, builders and organizers from the church community who work together over the course of months to build something for the fame of Jesus. Our most recent creation, Festival of Light, aims to breathe fresh joy and meaning into Christmas. 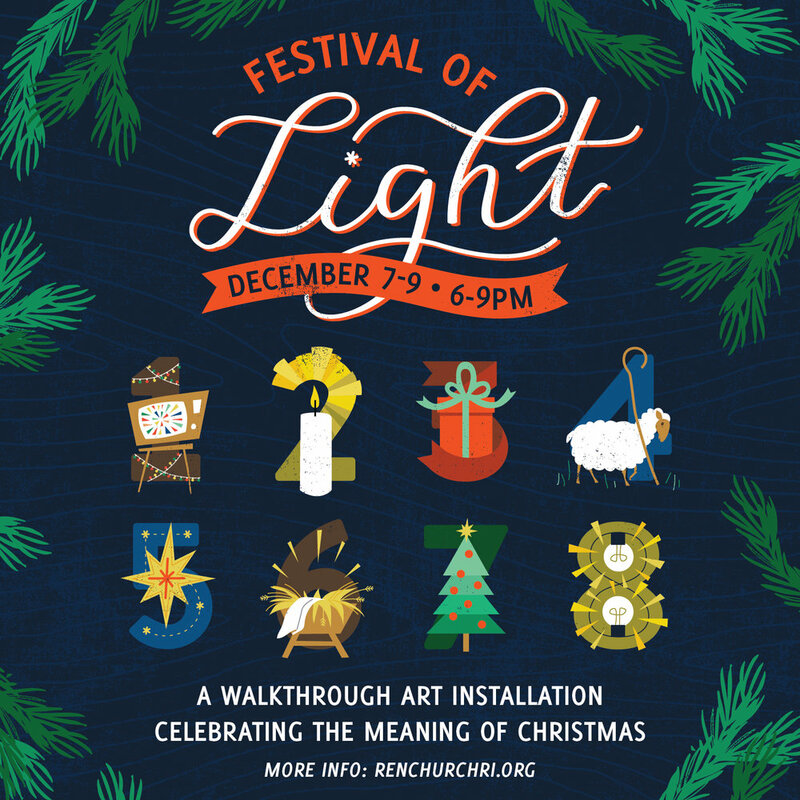 These installations occupy our entire church building and Festival of Light will have eight stations each communicating an important spiritual truth about the Christmas narrative. Each station will be an exploration of familiar Christmas symbols including the candle, the gifts, the shepherds, the star, the manger, the tree and the lights, with an introductory station about the chaos and commercialism of Christmas in American culture. Stations are built using a variety of mediums including light, sound, illustration, typography, sculpture, architecture and so on. The stations are designed to draw a person into thinking about a particular theological idea related to Christmas and give gentle prompts to reflect and/or converse privately with God. The experience takes about 45-90 minutes to walk through depending on the pace a person chooses. The primary reason we invest so much time and energy into creating these installations is because we’ve seen how they’ve been effective especially in helping people not so familiar with the Christian faith to really see Christ as good, beautiful and true. 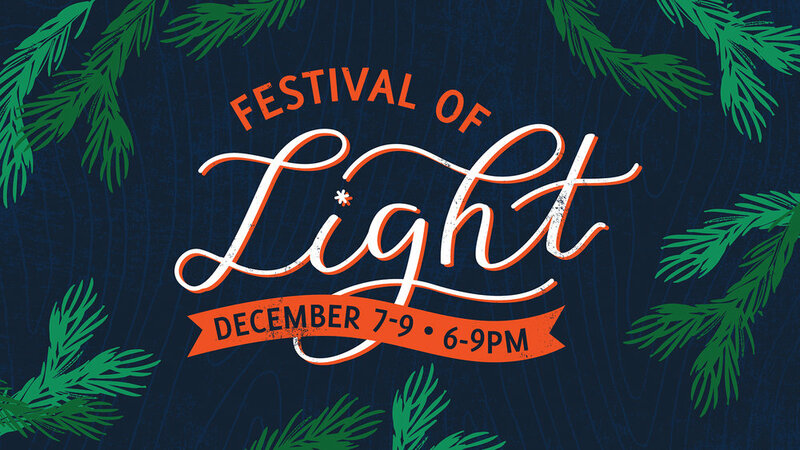 Those who are strong Christians will definitely enjoy Festival of Light, but if you are a someone who knows Christ, consider taking the opportunity to bring family or friends who are still trying to figure out who Jesus is. 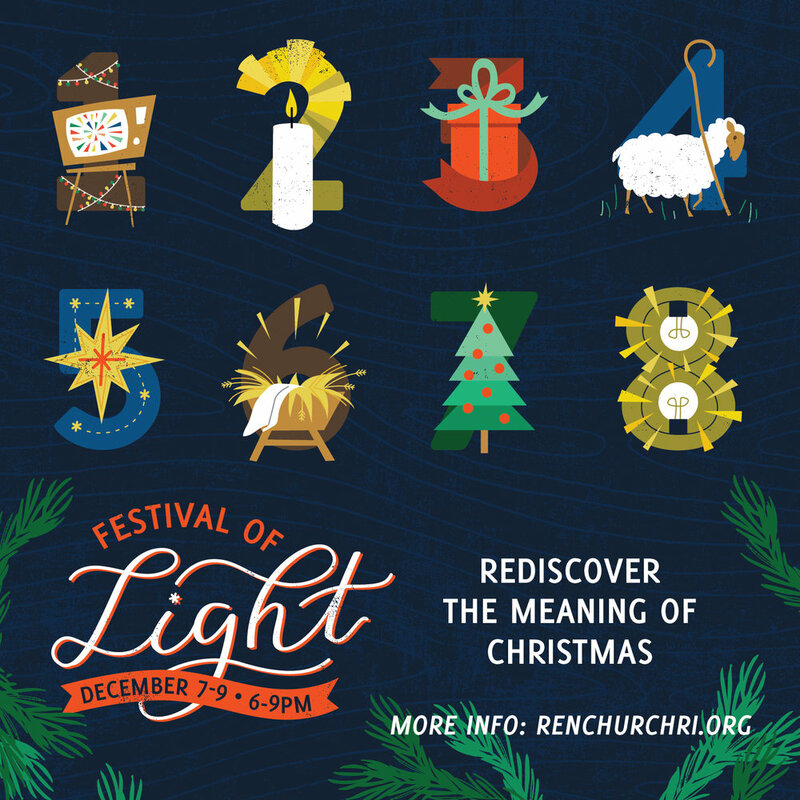 The entire aim of Festival of Light is to creatively reveal the person of Christ. Last time we did an installation over 700 people came through. This year we are expecting over 1,000 people. So you’d be wise to come early to avoid lines. Kids are welcome to attend and most of the station concepts are simple enough for them to understand. If you are a regular attender of Ren Church we urge you to be praying like crazy over this outreach. Plan on coming and think about someone you can invite. Another great way to help is by passing out tickets to your circles of influence and repost Festival of Light promo in your social media. If you are not someone who attends Ren Church, but are curious, this is a wonderful way to taste and see what the church is all about. Even more importantly, it’s a great way to explore the simple message and meaning of Christmas. For those who might be nervous about coming to something like this, don’t be. Nothing weird will happen. Nobody will force you to do anything. It will feel a little like visiting an art or science museum. You are on your own. There will be staff located throughout the building to answer any questions you may have but we are dedicated to giving each person privacy to personally experience the art. You may be someone who doesn’t really believe in Christian stuff so you may feel like you won’t fit in. But know that, in the past, probably 50% of the people who attend are not Christian. It’s designed to make curious seekers feel at home. You may be wondering about parking. We have a small lot in the back and some additional parking across the street. The location of the church might make some people nervous but our corner is generally well lit and we will have ushers and security everywhere directing people. Festival of Light is fully handicap accessible. Admission is free. Watch a video of one of our past installations, “Easter Encounter”. You’re welcome to use any of these materials to share about the event! Please use hashtag #FestivalOfLightPVD and tag us @renchurchri.